Founded by Marcus and Debby Flacks in 1995, MD Flacks specialises in classical Chinese furniture from the Ming and early Qing Dynasties. As well as precious hardwoods such as huanghuali and zitan, MD Flacks was one of the first dealers to exhibit lesser known woods such as tieli, nanmu, walnut and jumu. 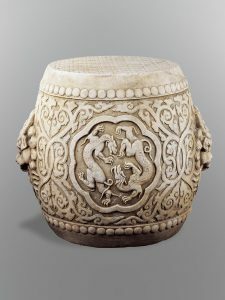 They have also been one of the few dealers to show important examples of stone furniture. MD Flacks has mounted many exhibitions and participated in many international art fairs. Clients include important private collectors in America, Europe and Asia as well as museums.